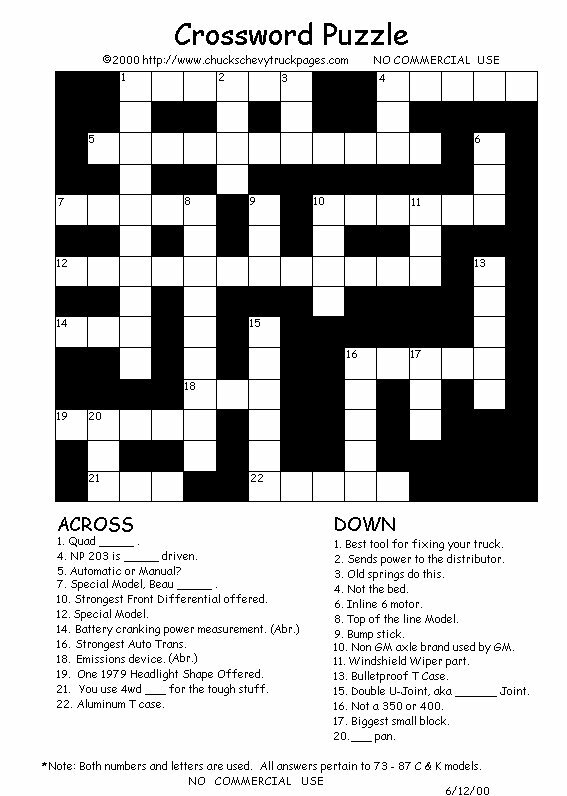 Hope you all enjoy my first Crossword Puzzle! If you think it's easy, just wait! This is only the first in a series. The answers will be here on this page next month.